Teach your kids about poverty without overwhelming them – by giving them the knowledge and tools they need to lead a revolution. It doesn’t have to be this way. As I’ve bounced my way up the economic ladder, I’ve met people who have never experienced food insecurity. Over the years, my partner has tried to convince me that our sons may never go hungry. I find this incomprehensible, with a side of survivor’s guilt – because I was one of those hungry kids. And just a little frightening – because now I have a new responsibility. How do I keep my kids from growing up oblivious to the world’s flawed distribution of wealth? How do I motivate them to fix it? Will the comfort and security I’ve finally found be the undoing of my sons? Will they grow up believing they are entitled to all the world hands them? Will they grow up complacent with the pain and suffering of others? How do I keep them from becoming selfish policy-makers who demonize single parents on welfare, exploit developing nations, leave people in our neighborhood to survive on poison water, and ignore classmates who regularly go without dinner? Let’s not stop for doing no harm – let’s do some good. How do I raise kind and brilliant luminaries who end world hunger? I gave it some thought. And now I have a plan! And surprise – it involves some hard (but not that hard) conversations educating our kids – with the help of some age-appropriate picture books. Below, you’ll find awesome books to teach your kids about poverty and wealth disparity so they can empathize with families who have less. And then – let’s take action so no kids have to experience this ever again. If you need help getting started, we’ve got a lesson plan & discussion guide for this collection to help kids get past the “OH MY GOSH THIS IS AWFUL” stage of despair and overwhelm – straight into a mindset of possibility and hope. Raising tall, white-presenting boys in a two-parent home in one of the wealthiest cities in the nation makes me very, very nervous. My kids (ages 3 & 5) freak out about inane things – broken crackers, not getting a new Transformer, that sort of thing. Some of it is from being little, some of it is from growing up insulated, comfortable, and privileged. To counter that, I’ve got to show them what real life is like for families without the luxuries they enjoy. Click here to get the discussion guide for these books (and a few problematic others). Get instant access to: Smashing Wealth Inequity – Teaching Kids About Entitlement & Privilege with a $1 subscription. Caveat: Beverly Slapin from De Colores gives us valuable insight on the problematic racial coding in A Bike Like Sergio’s as ambiguously Latinx. I’m including it here because this story does validate the conundrum of selfishness, honesty, and integrity many of us wrestle with, and it was an accurate reflection of my own experience. Find an in-depth analysis and explanation of how to handle topics like this in our exclusive subscriber discussion guide. Our next step is to read books that tie knots in my stomach, about families struggling. 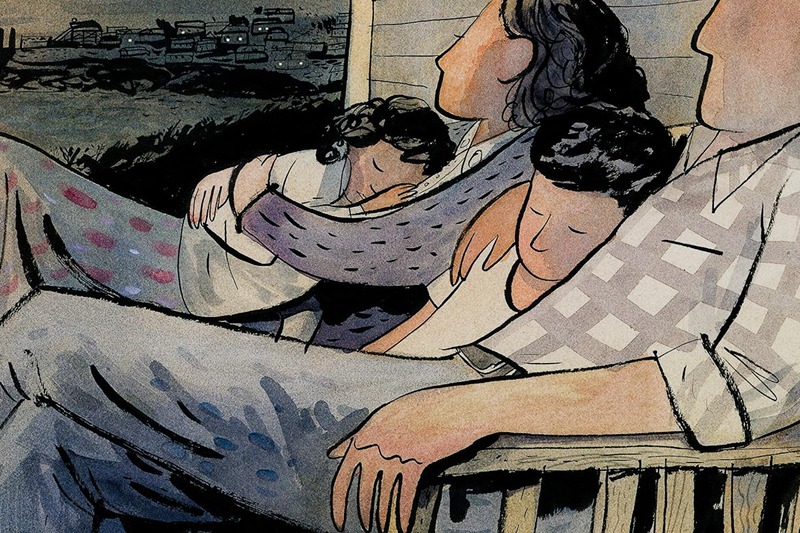 We read books that make me cry, about systemic, seemingly insurmountable inequality. We read books I’d rather leave on the shelf, about families like ours that hit hard times. I worried my kids would be overwhelmed, reading about the experience of poverty every week – but the opposite happened. Instead of feeling overwhelmed, these books make them feel powerful. They see what’s wrong with the world – they see the urgency of need in kids just like them. They understand that wealth inequality isn’t a division between ‘us’ and ‘them’ or saviors and victims. Most importantly, they started to see ways even little kids can make a difference. It’s an act of privilege to let our children, particularly those born into the safety net of whiteness, wealth, and naturalized citizenship in a wealthy country, to remain oblivious to inequity. These are experiences that children born into poverty are forced to learn at a young age. Silence is violence – we have no right to skip these difficult conversations. Step 5: Teach your kids that poverty happens to families like ours (in a way that won’t terrify them). Skipping this step is dangerous – many folks get this far and decide stories too close to home are off-limits. They justify inaction and shutting down in self-protection. My kids might become fearful. The problem is too big. We can do so little. You don’t need to shield your children from pain – you have to teach them how to deal with it. It’s time to read stories about families like your own – comfortable families, who get by – and hit hard times. By slowly and steadily working through this together, we can raise a new generation of kind and brilliant kids who are ready and eager to break cycles of systemic poverty and build a new world. But first – we have to show them what is good and possible in this world. By looking to successful campaigns to fight wealth inequality and poverty through history, we can gain hope that will motivate us to keep moving forward. The only way to give your children a reality-based, true sense of control over their fate, is to give them control over their fate. When we’re confronted by the largeness of injustice, the healthy antidote to feelings of despair and overwhelm is real, tangible, action. Each of these books offers ideas for small, age-appropriate contributions that even little kids can make. Once kids have gotten a taste of hope and power – what it feels like to donate, contribute, and volunteer – they are going to be elated to learn the ways we multiply that change. The power of collective action – people with a united vision fundraising, organizing, and innovating, will change the world. Smashing Wealth Inequality: A guide to raising kind & brilliant leaders who give back. Through 2018, I’m publishing a new rough-draft chapter each month to help you raise the next generation of kind and brilliant kids. We’re taking overwhelming feelings of injustice and channeling it into fuel to smash systemic wealth inequality. I provide my work at no cost for disabled women of color who, like me, make less than $1000/month. For those of you who can, join readers like you to help us keep up this work. Please do. I’d love to keep this work going.